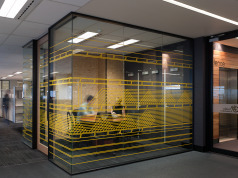 On the success of our previous projects with Golder Associates, Linear were engaged to design their new workplace in Newcastle. 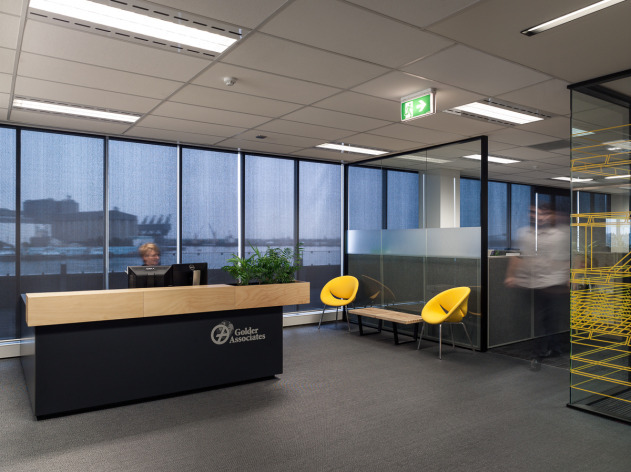 Golder Associate’s primary business in Newcastle is within the mining sector and the relocation to Honeysuckle drive, with views of the wharf and mines, created a great synergy. The planning solution was driven by maximizing natural light and views of the wharf for all staff. 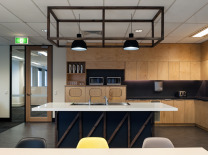 Existing workstations were reused for budget and environmental purposes. The overarching concept was developed around visual associations with coal & mining. 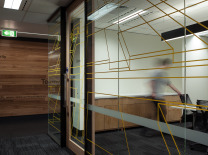 The colour palette reflected the deep dark tons of coal with accents of yellow connecting like a safety line key element s of the fitout. 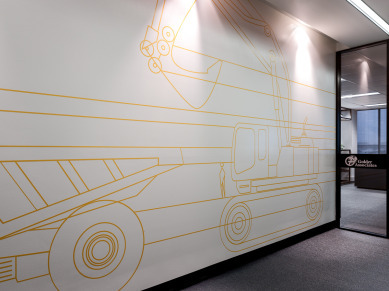 A play on scale brought a quirky element to graphics representing the enormity of mining equipment in the landscape. 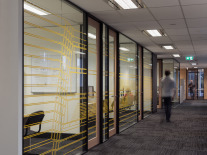 Graphics to glazing were developed around mining map diagrams and from strong visuals within the workplace.